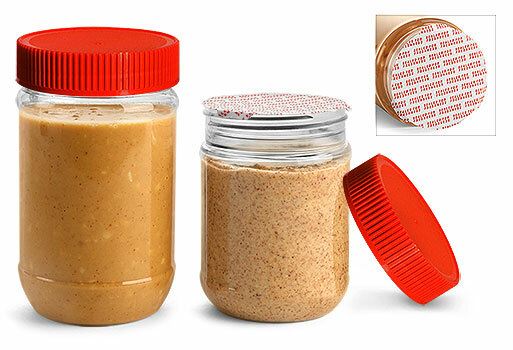 These clear PET peanut butter jars come with red ribbed lined caps. The tri-foil induction liner can be easily applied with cap sealing systems like our Enercon Super Seal Jr. 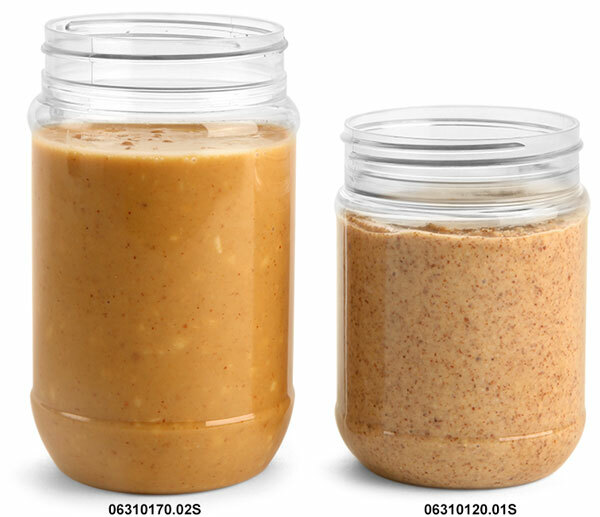 These plastic jars are great for packaging products like peanut butter, almond butter and other spreads, order a sample today to test your product with this quality packaging.